A Great review of the Ladybug steamer. The article covers two models of Ladybug steam cleaners: The Ladybug 2200S and the Ladybug 2150. 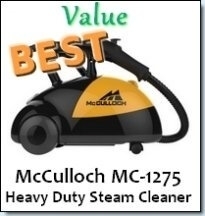 There are many reasons to love these steam cleaners. They represent the power of environmentally friendly, non toxic cleaning that is simply beautiful to behold. The Lady bug effortlessly gets rid of allergens, bacteria and dirt using only highly pressurized steam which is actually a very dry vapor. Unlike other steam cleaners, it does not leave behind any water residue but instead cleans using the hot vapor that has been highly heated so that it kills bacteria in seconds. We have already covered both the Ladybug XL 2300 and the XLT 2300 in a subsequent article and will now have a closer look at the other Ladybug steamers on the market. 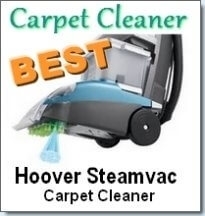 The first thing to note about this steamer is that it doesn’t come cheap – like all of Ladybug’s offerings, they are all somewhat costly ranging from $1,000+, however you pay for quality and power which can not be rivaled by other steamers that just won’t do the job as good as a Ladybug steamer. The 2200S will cost you $1,499 but with a 5/5 star rating, you certainly can’t go wrong. This model should be bought with the TANCS feature. Why do Consumers love this model? This machine can be used to clean just about everything! You never have to turn it off to add water since it comes with a continuous fill capability, which makes cleaning so much of an easier task. It is quite small so it is totally unassuming in your home, it dramatically improves the quality of air and even comes with DVD instructions. Actually, all you need is a vacuum cleaner and this Ladybug steam cleaner and your cleaning arsenal would be complete! There would be no need to buy other cleaning machines, as the Ladybug 2200S Vapor Steam Cleaner is capable of replacing almost all of them. The Ladybug 2150 is one of the least expensive Ladybugs and can be purchased for $1,049. This is a basic version cleaner which has all the main features but is geared towards the buyer on a tighter budget. It is still a high quality steamer which provides fingertip pressure and steam controls, a stainless steel boiler and tons of accessories to clean every imaginable surface. Cleaning your homes and floor with this vapor steam cleaner will safely disinfect your home without those harmful chemicals especially if you have babies and toddlers crawling around the floor. Are you afraid of using the Ladybug on your carpet? Don’t be! Unlike other steam cleaners which can leave a lot of water residue, the Ladybug is a vapor steam cleaner. This means that the vapor contains very little water and as a result, if you vapor clean your carpet it is guaranteed to be completely dry in less than 15 minutes. The moisture evaporates immediately on contact with any surface. So where and on what can you use your Ladybug? • Bathrooms, basements and anywhere that is dark and damp the Ladybug can handle with ease. 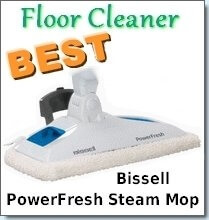 Mold spores will be easily killed by this steamer. Those are just some of the cleaning tasks the Ladybug steamer is capable of handling with ease. Overall, the Ladybug is a great steamer to invest in as you would be investing in the health of your home and family in the long run. Those are just some of the cleaning tasks the Ladybug is capable of handling with ease. Overall, the Ladybug is a great steamer to invest in as you would be investing in the health of your home and family in the long run. 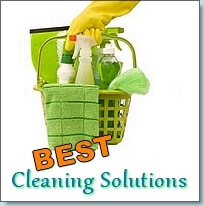 Ladybug Vapor Steam Cleaners: Ladybug vapor steam cleaners are widely recognized as steam cleaning dynamos. In this article we review the Ladybug Tekno 2350.